South Africa’s construction industry continues to face tough times amid lower investment in infrastructure by government, low business confidence and lower foreign direct investment. Considering the tough domestic conditions, many firms continue to or have begun venturing outside of South Africa to pursue growth opportunities in the rest of Africa and other select markets. The challenges that large construction firms face are also having a knock-on effect on subcontractors, which are also struggling to secure contracts and maintain staff levels. Suppliers to the construction industry are also feeling the pinch and are also seeking opportunities abroad amid the slump in the South African construction sector. 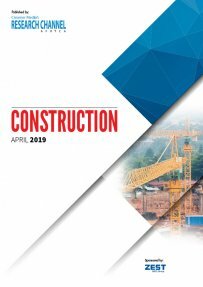 Creamer Media’s Construction 2019 Report examines South Africa’s construction industry over the past 12 months. The report provides insight into the business environment in the construction sector, key participants, local demand, international expansion, competition commission activities, corporate activity of the country’s major construction companies, and issues such transformation, the shortage of skills and safety. Published on: 08 April 2019.